When your trail rides include technical descents and challenging climbs, the Giro Chronicle MIPS provides all the essential performance and protection you need in an affordable package. Its compact shape provides deep, confident coverage, and the Roc Loc 5 fit system allows you to easily dial-in both fit tension and adjust vertical position with a single hand. The Chronicle MIPS is designed for goggle compatibility, and the P.O.V. Plus visor allows you to lift the visor and place your goggles on the front of the helmet. The Coolmax padding has great wicking properties, and it’s extra plush to provide all-day comfort on the trail. 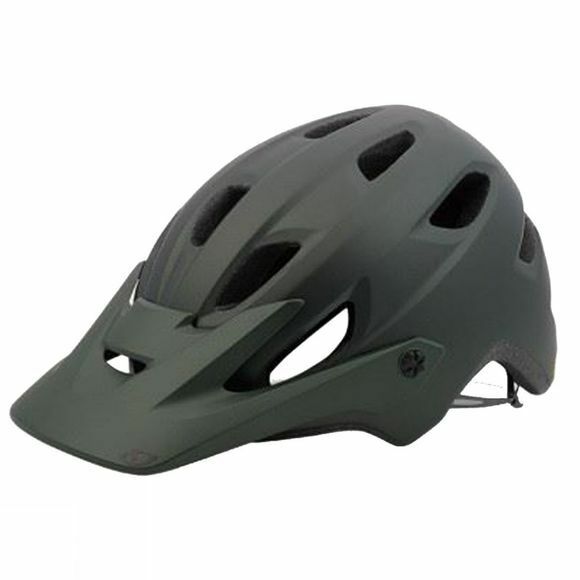 The helmet was designed with MIPS, which redirects impact energy to provide more protection in certain impacts.